If you're looking for outdoor recreation and business opportunities, visit Evergreen. We provide a homey atmosphere ideal for budding businesses that you and your family will surely love. Contact Kiana Lee at (251) 578-1574 during governmental operation hours for more information on our business license applications. Please visit our department at the city hall to apply for our annually issued business licenses. To ask for help from our fire department, contact Ricky Nobles at (251) 578-1574 during governmental operation hours. On top of its fire prevention and suppression services, we also provide emergency medical assistance and fire safety education. Evergreen Public Library upholds the principles of intellectual freedom and the public's right to know by providing access to information and reflecting all points of view for everyone. 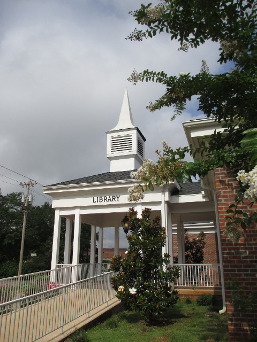 Get in touch with our supervisor, Diann Lee, at (251) 578-2670 for questions regarding our library services. Located at 119 Cemetary Ave, our library is open from 9:00 a.m. to 5:00 p.m. on Mondays through Fridays, and 9:00 a.m. to 12:00 p.m. on Saturdays. Call Daryl Davis for water-related concerns or Gordon Varner for waste-related issues at (251) 578-1574 during our operation hours. This department is responsible for water supplies and wastewater treatments. The state of Alabama requires water systems across the state to provide it's customers and the public, certain annual reports and guideline policies required by the Alabama Department of Enviromental Management (ADEM). To view the ADEM-Water Division- Water Supply Program-Control of Lead and Copper, click here. To view the ADEM-Water Division -Water Supply Program-Lead Ban Requirements, click here. To view the Evergreen Water Works Lead and Copper Sampling Requirements (March 2016) click here. Contact us in Evergreen, Alabama, and allow us to effectively address all your outdoor recreation and business needs.